It's the end to another great year of table tennis! 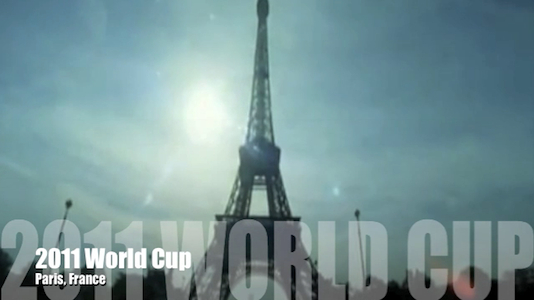 We recap all the major tournaments in this look back on 2011. With so many events to cover, this episode focuses on the first half of the year. Stay tuned for part two! NBA superstar Blake Griffin faces off against professional model AND table tennis player Soo Yeon Lee, thanks to Red Bull! 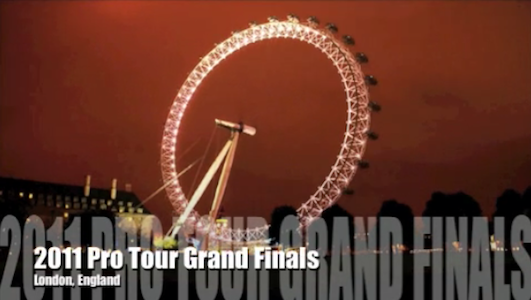 It's coverage of the 2011 ITTF Pro Tour Grand Finals, the last major ITTF event to cap off the year! I also mention info about Timo Boll's new book and a health segment about the benefits of playing table tennis. Sorry for the late release! I actually finished most of this ahead of time, expecting it to be my earliest release, but I suddenly became incredibly busy and couldn't finish it until now. 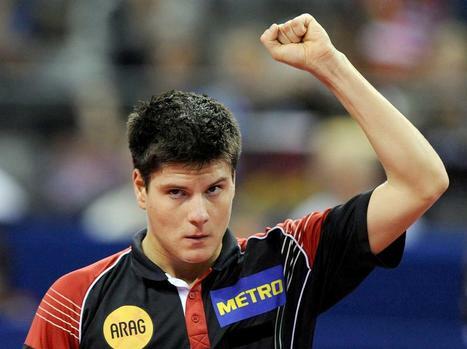 It's the 2011 World Cup singles, loaded with some of the best matches of the entire year! Check out the highlights, and try to watch the full matches if you have the time, you won't regret it! 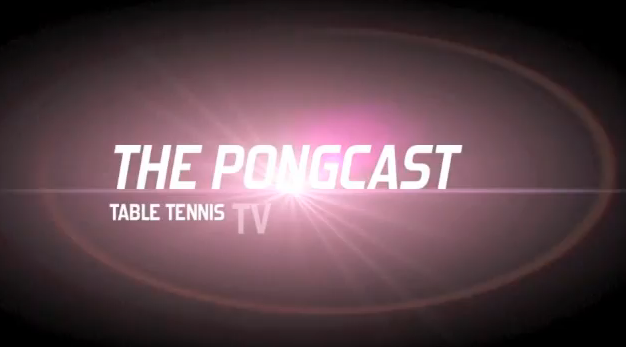 It's episode three of Pongcast TV! We cover the 2011 World Team Cup, and include segments on comedy & table tennis, as well as video diaries by two top players as they work towards making their respective Olympic teams. 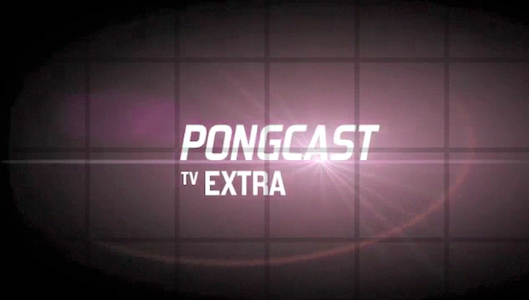 Pongcast TV Episode 02 - Extra! I took the week off, but here's a Pongcast TV Extra mini-episode to hold you over until next week. 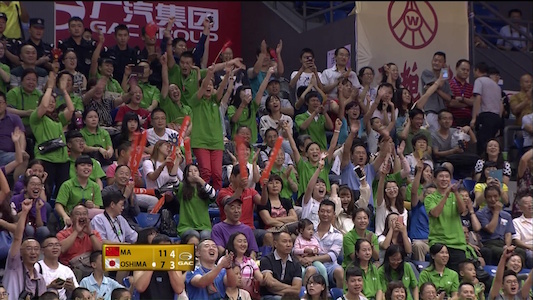 This time it's highlights from rising French junior Quentin Robinot's stunning upset victory over Chinese star Ma Lin! I've also tried a different presentation of the match highlights so please let me know if you think it's any better or worse (or the same). Stay tuned next week when we cover the World Cup team championships! 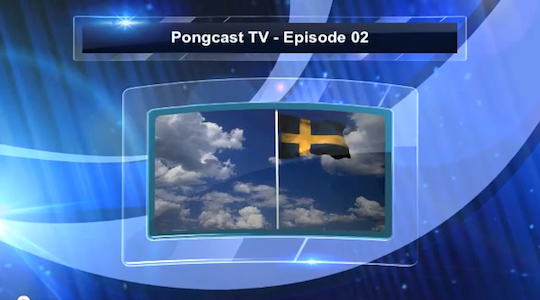 It's the 2nd episode of Pongcast TV! We cover the Swedish Open, as well as some news on celebrities who are avid table tennis players and extravagant tables just in time for the holidays! I'm still experimenting with the format. Hopefully the audio overall is a little better this time around, but it ran a lot longer than I would have liked. Enjoy the show and please let me know your thoughts! leave a comment, and more at Pongcast TV Episode 2 on YouTube. So here it is! The first episode of Pongcast TV! 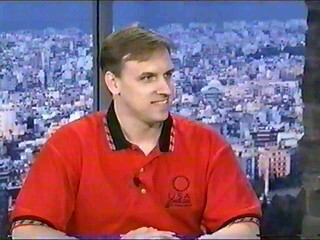 I discuss some table tennis related news and cover the men's team event at the 2011 European Championships. Due to time constraints I couldn't cover the women's side, but hopefully as I get the hang of doing these shows I can manage the show time better. I hope you enjoy it and please let me know what you think! leave a comment, and more at Pongcast TV Episode 01 on YouTube. Finally!?!? Sorry for the delay, but here's another episode I did with Jackson Meyn at PrimeTimePingPong.com covering table tennis news & discussion. We talked about the Austrian Open, European Champions League, and lots of other topics! I haven't had time to edit or format at it, so I'll refer you to his great website where you can listen to it! An interview with Dora Kurimay. She is a former Hungarian national team member who ventured into sports psychology. Besides consulting, she now plays and coaches in the U.S.
We discuss her background and experiences in Hungary, to moving to the U.S., and her views on the differences between the respective table tennis scenes. She also offers a lot of great advice on improving the mental aspect of playing table tennis and what you can work on to improve it. Here's a nice YouTube video, reviewing some fundamental tips by Sean O'Neill. I think there is some great advice even for experienced players who may sometimes slip back into bad habits from time to time. I'll be checking to make sure I've been following these techniques when I play tonight! An interview with Sean O'Neill, USATT Hall of Famer, former top US player, and coach. We discuss his training as a junior to becoming one of the top players in the US and his experiences at the elite level. We also talk about his transition to coaching as well as his other responsibilities he holds, ranging from TV commentator to webmaster. With his great experience and knowledge in table tennis he shares insight on the state of the sport from when he started, up until today, and what he sees for the future. Another great compilation video on YouTube by Calcutta75. Aside from a great selection of points, I like how the camera angles are all from the corner, instead of the typical overhead, straight forward angles. It's a much better way to see how fast the shots are and how difficult they are to pull off. 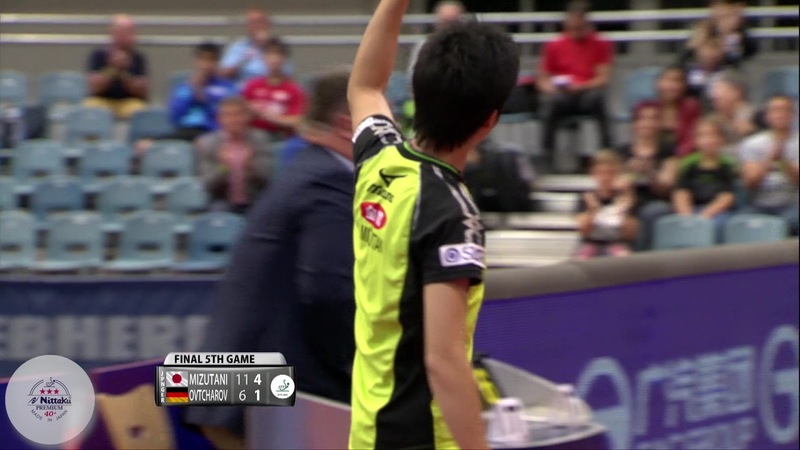 ITTF TV, I hope you're taking notes! 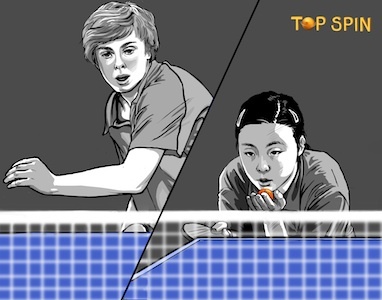 An interview with Mina T. Son and Sara Newens, the filmmakers behind the table tennis documentary Top Spin. We discuss how this project came about, their experiences so far, and their upcoming work in making this feature film come to fruition. They also have a fundraising page at Kickstarter.com where you can help donate money but time is running out! The deadline is July 20 so check it out now. You can help two filmmakers bring their vision to reality, promote table tennis, and maybe even get some cool gifts, so it's a win-win for everybody! Part 2 of an interview with Brian Pace. We discuss his experiences playing overseas, his foray into competitive cycling, and back to table tennis by teaching others through personal coaching and Dynamic Table Tennis. Includes brief coverage of the 2011 US Open results in the news segment. - The official website for Top Spin, an upcoming table tennis documentary following Ariel Hsing and Michael Landers. - The fundraising website for Top Spin, help bring this movie and our sport to the masses! - Video of Amelie Solja's (seeded 2nd, WR 112) match at the 2011 US Open. - Video of the men's doubles finals at the 2011 US Open. - Video of the women's doubles finals at the 2011 US Open. 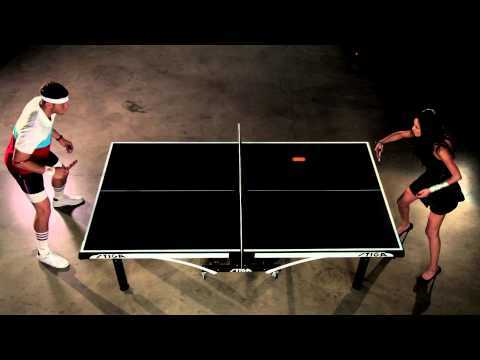 - Video of the men's finals, Thomas Keinath vs Eugene Wang, at the 2011 US Open. 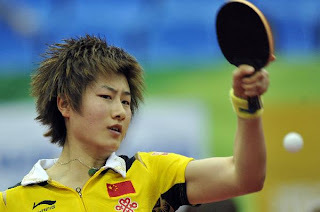 - Video of the women's finals, Liu Nai Hui vs Zheng Jiaqi, at the 2011 US Open. 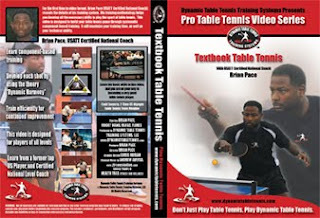 Part 1 of an interview with Brian Pace, former top US player and current creator of Dynamic Table Tennis. 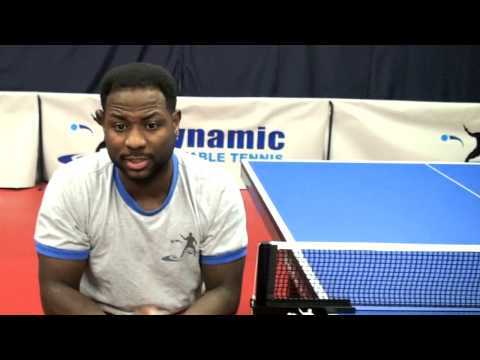 We cover Brian's career in table tennis, from how he started playing, to training with other top US players, insight on the mental side of the game, and how table tennis led to his encounters with famous people inside and outside the sport. Along the way we see how those experiences led to helping other players through Dynamic Table Tennis. Also an update on some exciting, tentatively scheduled interviews in the near future, and how you can get involved! Table tennis news in review w/ co-host Jackson Meyn from Prime Time Ping Pong. We catch up on our personal table tennis games which leads to a discussion on the similarities and differences between US and Australian table tennis. 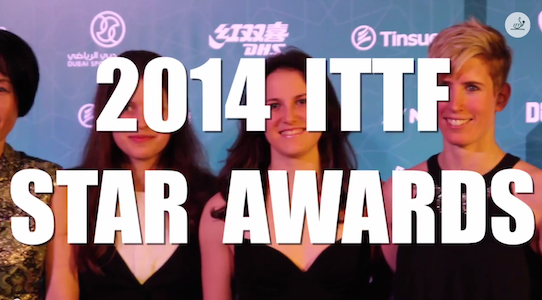 A brief talk about an interesting ITTF website fact and what it might say about the state of TT now and for the future. And we cover the results from the Brazilian Open, Chinese Super League, and upcoming events. Part 2 of a wrapup of the 2011 World Table Tennis Championships with guest co-host Jackson Meyn from PrimeTimePingPong.com. Part 1 of a wrapup of the 2011 World Table Tennis Championships with guest co-host Jackson Meyn from PrimeTimePingPong.com. Looks like my pick for Men's Singles was right, congratulations to Zhang Jike! I'd like to do a casual, fan driven, roundtable disussion wrapping up the WTTC for the next episode. Kind of like what ESPN would do after a Sunday of NFL football. But they won't cover it, so why not us? If you or anyone you know would like to join in, please email me. 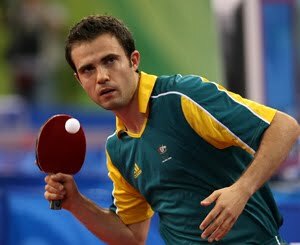 An interview with William Henzell, top Australian men's player, at the 2011 World Table Tennis Championships right before a match! Also a recap of US players' results at the WTTC. Make sure to check out William Henzell's coaching website at ttEdge.com. Get expert advice from William himself! Also hear more from William from another great table tennis podcast at Prime Time Ping Pong, hosted by Jackson Meyn. There's many other great interviews there as well! In case you use Podcast Alley, you can also hear the podcast there now. Leave your comments here and let me know who you think will take the men's title at the World Championships, May 8 - 15 with the poll on the right side of the page. I'd like to see Wang Liqin end his career with a bang, but realistically Wang Hao and Ma Long look the strongest lately. 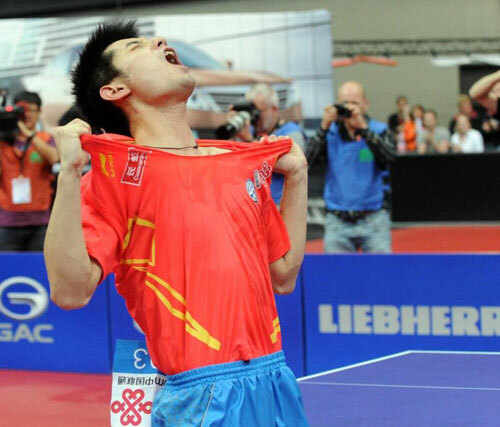 I'm actually going to pick Zhang Jike to surprise everyone though. An interview with Willy Leparulo, president of the NCTTA. 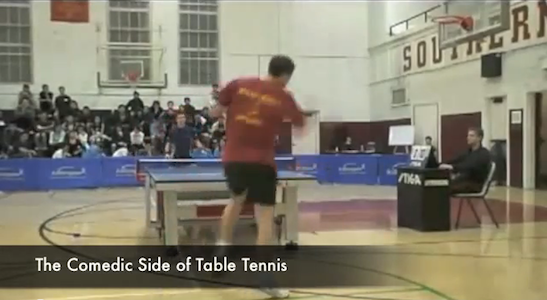 We discuss college table tennis, the NCTTA, and the NCTTA championships.